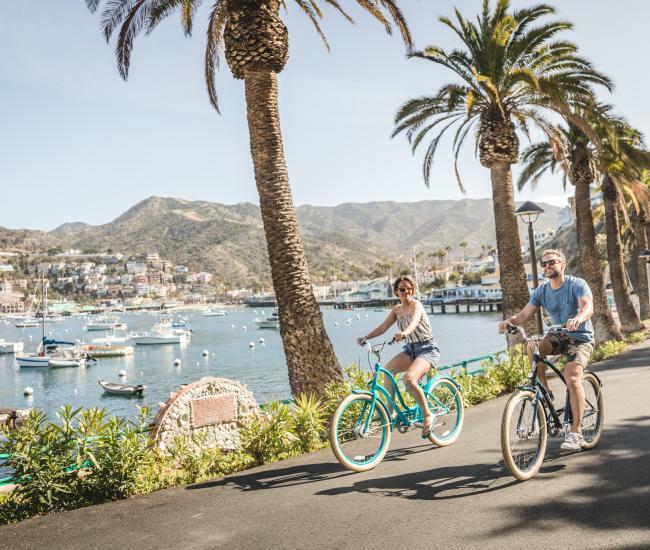 Thanks to its proximity and convenience, Catalina Island has become a popular destination for meetings, corporate events and executive retreats. 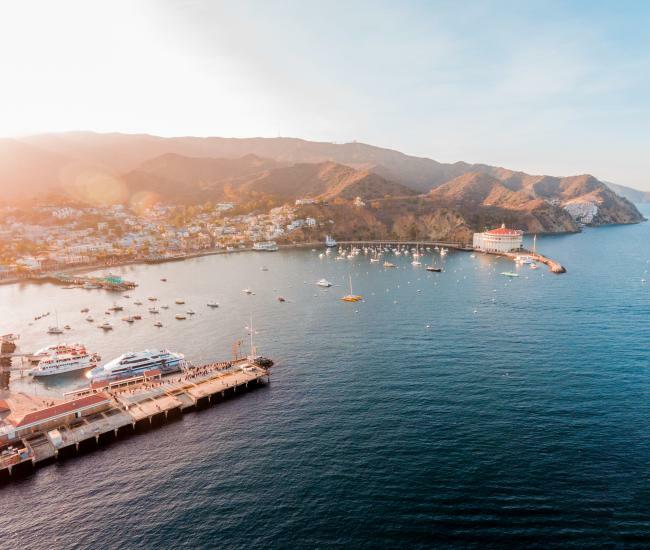 An assortment of event venues on Catalina Island are available for all sizes of groups and meetings, creating the perfect environment for a professional destination getaway. 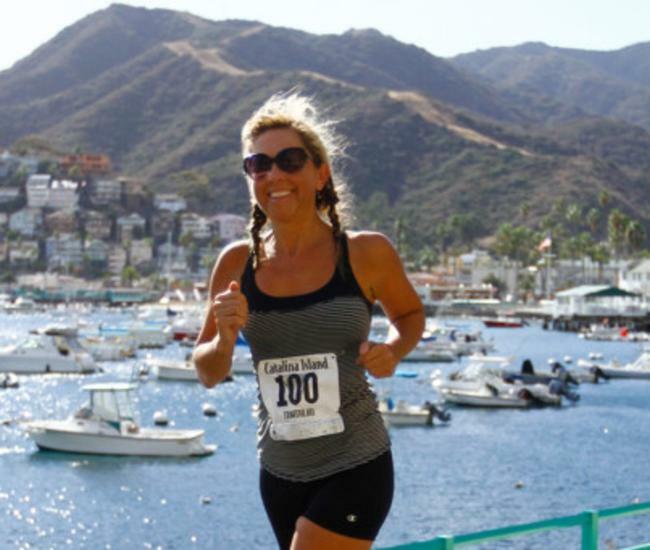 Even if the main goal for your Catalina Island corporate event is work, adding in a bit of play will build morale and foster better working relationships. The wide variety of things to do make team-building activities on Catalina Island a buffet of choices. Here are just a few of the many options. 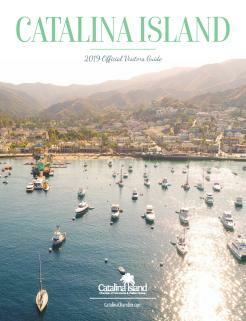 Take a tour: One of the most popular Catalina team-building activities are the island’s many tours. Ranging from informative city bus excursions to more adventurous expeditions to the island’s interior --where you can see wildlife and visit the Airport in the Sky -- the tours on Catalina are a popular option because of their variety. Aerial adventure: Catalina Island’s newest adventure gets your team climbing the trees. The Catalina Aerial Adventure is an arboreal obstacle course featuring suspension bridges, mini-ziplines and balance beams that will have your team cheering each other and working together to complete one of five courses. Escape room: Escape rooms are sweeping the nation and once you’ve tried one out it’s not hard to see why. Ideal for groups, escape rooms require your team to work together to solve riddles, clues and puzzles to complete a challenge and “unlock” the room. Avalon has two escape rooms, Escape Room Catalina and the Catalina Room Escape. Food tour: There’s nothing like food to bring people together – except maybe drinks. Strolling through Avalon’s top restaurants and favorite watering holes provides an opportunity for your team to relax and unwind together. Catalina Food Tours offers a customizable option for private groups. Play together: The arcade on Catalina Island offers mini-bowling, interactive games and a shooting gallery plus beer, wine and food, making it a destination for team-building that puts the focus on fun. Spa day: There’s nothing like bonding while relaxing – and making your team feel appreciated. Massages, body treatments and a little pampering will unite your crew and prepare them to take on the next work-related related challenge. Dine out: Places to eat on Catalina Island range from quick burgers to creative cuisine – and everything in between. Make sure to take advantage of the team-building possibilities inherent in the simple act of dining together. Kayak races: Kayaking across Catalina Island’s crystal clear waters and enjoying the spectacular island coastline is a unique adventure no matter what the size of your group. Kayak races and tours can be arranged for teams as small as half a dozen or as large as several dozen. Get out of town: Two Harbors, located near the island’s remote West End, is a perfect expedition for teams with a bit more time. Accessible by boat or bus, this adventurer’s paradise features an expansive beach along with kayaking, snorkeling and hiking as well as a restaurant, bar, snack stand and comfortable beach front cabanas for relaxing. Mini-golf: Catalina Mini Golf Gardens has been entertaining families for generations. This tree-lined retreat in the center of Avalon also offers a team-building challenge replete with competition and entertainment alike. Hiking: Catalina Island’s interior is a natural wonderland of rugged terrain, unique wildlife and awe-inspiring vistas. Getting your team out of town to explore the island and challenge themselves on miles of hiking trails is a Catalina Island team-building activity your group will never forget.